People in India are gearing up to host yet another festivity-- Chaitra Navratri and needless to say, the preparations are already top-notch. Four different Navratri festivals are celebrated throughout the year. But it is the two Navratris-- Chaitra Navratri and Sharad Navratri that are majorly enjoyed with much enthusiasm and fanfare. The nine nights festivity is dedicated to the different avatar of Goddess Durga. As Chaitra Navratri 2019 is approaching fast, here we have compiled devotional songs (Devi Bhakti Bhajans) for all the devotees engrossed in the Hindu festival. It is needless to say that Gulshan Kumar Maa Durga Devi bhakti bhajans are the best collections of all the playlist. In this article below, we have listed the popular Gulshan Kumar Navratri devotional songs to enjoy the festivity and worship Maa Durga. Chaitra Navratri 2019 marks the beginning of the Hindu New Year. According to the Luni-solar calendar, the auspicious occasion falls in the month of Chaitra, the first month of the Hindu lunar calendar. In 2019, Chaitra Navaratri celebrations begin from April 6 and continue till April 14. Listen to these beautiful devotional Maa Durga songs produced by the iconic Gulshan Kumar. Durga Chalisa to Durga Amritwani, Listen to Devotional Aarti Songs (Bhakti Geet) This Vasanta Navaratri. Gulshan Kumar Navratri songs have always been popular. It is his beautiful devotional lyrics that continues to touch millions of hearts, and on many Hindu festivals, Kumar's songs are played. The above song is voiced by Babla Mehta from the album Mamta ka Mandir. 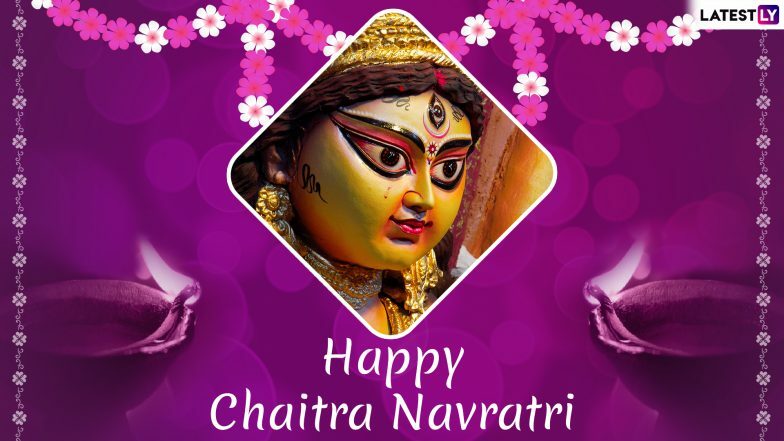 During Chaitra Navratri, devotees gather together and sing devotional songs dedicated to Maa Durga. Man Leke Aaya Mata Rani Ke Bhawan Mein is yet another beautiful song which is voiced by Babla Mehta from the album Jai Jag Janani. Chaitra Navratri bhajans are sung by the devotees, and they even continue to chant Maa Durga Chalisa, offering prayers to the idol. Kabhi Fursat Ho To Jagdambe is yet another Bhakti bhajan from Gulshan Kumar's song collection. This is a compilation video of various Devi Bhajans produced by Kumar. There are about ten songs of Maa Durga, each is sung by talented singers like Babla Mehta, Hariharan, Sonu Nigam, Sukhwinder Singh, Vipin Sachdeva, Suresh Wadkar and many more. During the nine days celebration of Chaitra Navratri, devotees pray and seek blessings as it is believed that the goddess had descended from heaven on those days. The festivity is praised with genuine dedication and immaculateness everywhere throughout the nation.